Paul Revere is remembered for his ride to warn fellow American patriots of a planned British attack before the Revolutionary War (1775–83), the war fought by Americans to gain independence from England. He was also a fine silversmith (a person who makes objects out of silver) and a master engraver (a person who cuts designs onto things such as metal or wood). Paul Revere was born on January 1, 1735, in Boston, Massachusetts. He was the son of Apollos De Revoire, a French Huguenot (member of the Protestant faith) who had come to Boston at the age of thirteen to apprentice (a person who works for another to learn a trade) in the shop of a silversmith. Once Revoire had established his own business, he changed his name to the English spelling Revere. 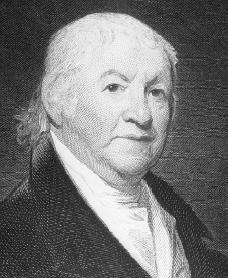 Paul Revere was the third of twelve children and the oldest of his father's sons to survive into adulthood. As a young man, he studied at the North Writing School in Boston. As a teenager, he learned the art of gold and silversmithing from his father. With help from his mother, he began running the Revere family silver shop at age nineteen, after his father died. On August 17, 1757, he married Sarah Orne and eventually fathered eight children. As early as 1765, Revere began to experiment with engraving on copper and produced several portraits and a songbook. He was popular as a source for engraved items such as bookplates, seals (stamps with raised designs that could make a print on another substance), and coats of arms (designs that indicated a family line). Revere also began to fashion engravings that were anti-British. In 1768 he made one of the most famous pieces of silver of the American colonial era—a bowl created at the request of the fifteen Sons of Liberty. The Sons of Liberty were organizations formed in order to protest the 1765 Stamp Act, a taxation on printed materials imposed by the British that the Americans considered unjust. The bowl that Revere created was engraved to honor the "glorious Ninety-two Members of the Honorable House of Representatives of the Massachusetts Bay" who had refused to withdraw a letter they had sent to the other colonies protesting the Townshend Acts (another measure imposed by the British). Revere's extraordinary skill also extended to his carving picture frames for the painter John Singleton Copley (1738–1815). Copley painted a famous portrait of Revere, shown in shirt sleeves and holding a silver teapot. Adams (1722–1803), allowing the two men to flee to safety. Revere was captured that night by the British, but he persuaded his captors that the whole countryside was aroused to fight, and they freed him. He returned to Lexington, where he saw the first shot fired in the first battle of the Revolutionary War (1776). This ride and series of events were made legendary by Henry Wadsworth Longfellow (1807–1882) in the poem "Paul Revere's Ride." After the Revolutionary War Revere remained in Boston, where he created objects in silver for distinguished members of local society. He died in Boston on May 10, 1818. Today, he is still remembered as a craftsman in silver, as well as a master of engraving. An on-the-spot reporter, he recorded the events leading up to and during the revolution with great accuracy. He engraved what he saw on metal plates, which were then used to create prints on paper that were highly popular with the people of Boston. Forbes, Esther. Paul Revere and the World He Lived In. New York: American Past, 1983. Lee, Martin. Paul Revere. New York: F. Watts, 1987. Sullivan, George. Paul Revere. New York: Scholastic Reference, 1999. Triber, Jayne E. A True Republican: The Life of Paul Revere. Amherst: University of Massachusetts Press, 1998. I love this article it actually makes me understand. We have a class computer assignment and we have to make a poem and its GREAT! You state that Revere hung two lanterns in the church tower. "Revere signaled by hanging two lanterns in the tower of Boston's North Church." He did not..he observed them hung by someone else. He was on the opposite shore..if Longfellow has it correct. it has so many cool facts about paul revere.ITS AMAZEING!!!WOW! This article was very helpful. We had to write a biography report on Paul Revere, and this helped me through the whole thing. It's an AWESOME information source. Also, it is very nice how you gave even MORE resources. This website was much more helpful than many other of the websites I looked on. who was his child merry revere was she boring? I am doing a report and need info. did you know that the horse Paul rode in 1775 wasn't his horse? it was actually Samuel Larkin's horse and it was named "Brown Beauty" and Paul borrowed it from John Larkin (Samuel's son). So Paul pretty much rode a borrowed borrowed horse.